Jacqueline Bouvier Kennedy, is escorted by her groom, Sen. John F. Kennedy and Charles Bartlett down the hill at Hammersmith Farm at their wedding reception in 1953 in Rhode Island. Others looking on are Edward Kennedy and Torbert MacDonald. Chattanooga has a rich history of providing Pulitzer Prize winners. Charles Bartlett, a political reporter with Chattanooga ties and close friend of John F. Kennedy, was the first of the prize winners. Born in 1921 into a wealthy Chicago family, he became the seventh generation to graduate from Yale University, where he wrote for the student newspaper. Charlie Bartlett served as a Naval intelligence officer in the Pacific during World War II. Afterward he ran across another young Navy officer, John F. Kennedy, who had served in the Pacific, at the Ta-boo nightclub in Palm Beach, Fla., where both families had winter homes. That encounter started a lifelong social and political relationship. Bartlett's acquaintance with the Sulzberger publishing family led to Arthur Sr. hiring him in 1946 as a general assignment reporter at The Chattanooga Times. The bachelor lived at 204 Scenic Highway on Lookout Mountain, loved Chattanooga and developed many friends. Eighteen months later the Times sent him to be its Washington, D.C., correspondent. He won a Pulitzer Prize in 1956 for a series of articles leading to a Senate investigation into a conflict of interest charge, involving Harold E. Talbott, Secretary of the Air Force in President Dwight Eisenhower's administration. His friend John Kennedy urged Charlie Bartlett to move on, offering a brotherly scold: "It is a shame to keep writing that stuff and sending it down to die in Chattanooga." But Bartlett later reflected, "The most interesting newspapering I did was in Chattanooga. I learned more about what makes the world run in Chattanooga than in Washington It's sort of a game up here. The politicians show their best side and the reporters find out what really went on." Bartlett briefly dated Jacqueline Bouvier and said she "found him too buttoned-down for her taste." Meanwhile, Jack Kennedy had called Bartlett with an urgent message from his father, Joe Kennedy Sr., that his son had better get married by the time he ran for president. In May 1951 Bartlett and his wife, the former Martha Buck, corralled Congressman Kennedy and Jacqueline into a quiet dinner at the Bartlett's Georgetown home. 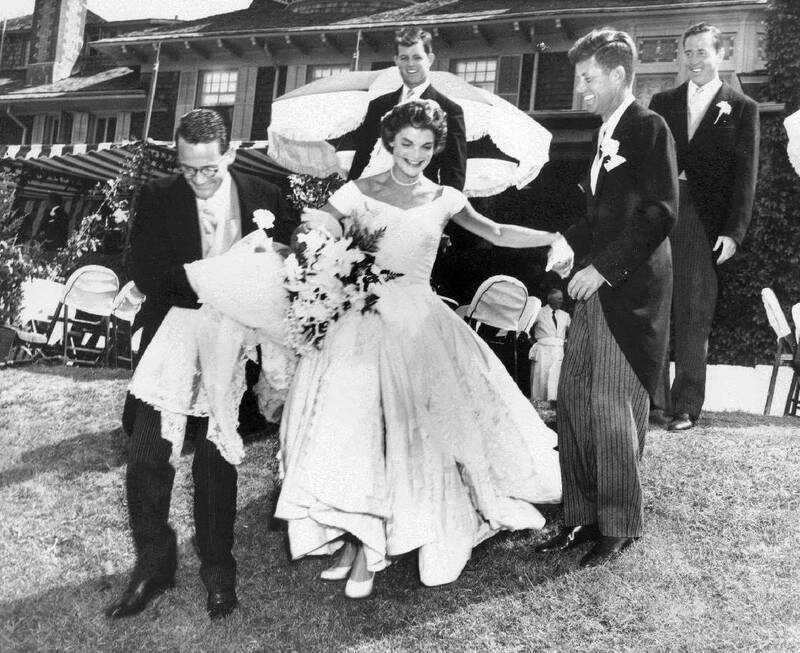 Jack and Jackie married two years later at Newport, R.I., with the Bartletts in the wedding party. Charlie and Martha Bartlett became godparents for the Kennedy's infant son, John Jr. When Jack Kennedy reached the U.S. Senate in 1953, he was already considering a White House run. Bartlett said, "I told him he should wait you haven't been anywhere. That's why I brought him down to Chattanooga You better go and see how you do ." The young senator made the front page of the Times and the Free-Press for his speech to the Chattanooga Rotary Club. Kennedy said he "put Southern hospitality to its greatest test since the Civil War days" in calling for an end to Tennessee's practice of offering tax-free factories to new industries moving into town. Bartlett continued as Washington correspondent for the Chattanooga Times until 1963, when he switched to the Chicago Sun Times. As a reporter and insider with President Kennedy, Bartlett walked a tight rope: "It was not possible to be a good newsman and be a close friend of the president," admitting his desire to help Kennedy succeed in the White House. Bartlett co-authored an article with journalists Stewart Alsop in the Saturday Evening Post on the 1962 Cuban missile crisis that introduced the use of the phrases "hawks and doves" and "eyeball to eyeball." The story depicted Adlai Stevenson II, ambassador to the United Nations, as an appeaser willing to take the Guantanamo military base out of service in return for the Soviets removing their missiles from Cuba and generated political controversy for the president. The reporter became known as the sender of memos to the president on a variety of subjects ranging from foreign policy to treatment of the president's ailing back. Kennedy called them "Bartlettisms." Bartlett later described Kennedy as a complex individual who would engage a person in conversation at his own initiative in a quest for information while keeping his distance. The day Kennedy was shot Bartlett wrote, "He was lightening fast from youth, his intuition was quick and precise, and his curiosity was limitless." Charlie Bartlett died in Washington at age 95 last February. He left behind Martha, his wife of 66 years, three children, Peter, Robert and Helen, and six grandchildren. Jerry Summers is an attorney with Summers, Rufolo and Rogers. Frank "Mickey" Robbins is an investment adviser with Patten and Patten. For more visit Chattahistoricalassoc.org. CORRECTION: The Jan. 21 Local History story, "We have seen it," should have stated that it was Union Army Col. W.C. Gardenhire who traveled to California and then to Fiji after the Civil War and who later settled in Rhea County. He did not operate a mercantile business at Harrison, Tenn.